Last year, Christmas really seemed to sneak up on us and we were not very well prepared. We were scrambling for gifts all the way up until the very last second. I hate that feeling. I promised myself that we would never wait until the last minute again. Anyway, having Christmas on the brain all day (thanks to Nicole) turned out to be a good thing. After dinner I was reading this post over at The Coupon "High" about a sale at DisneyStore.com. It's called The Twice Upon a Year Sale and you can save up to 50% on many items. They are also offering FREE SHIPPING on all orders until Monday, July 5th. Just apply the Promo Code: FREESHIP when checking out. Since Grace has recently started to watch (and really enjoy) Mickey Mouse Clubhouse, I had to check out the sale. 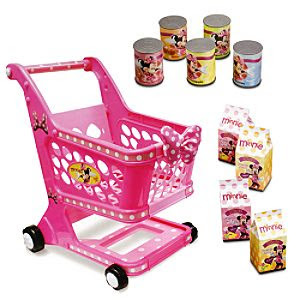 I wasn't able to replace her , for some reason whenever I tried to add her to my "shopping cart" I got a message stating this item cannot be purchased at this time. I guess that's their way of saying sold out. Maybe? But I did find this on sale. Isn't it cute? I love it! 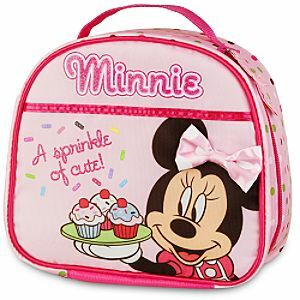 I'm crazy about polka dots, so I really hope that Grace takes to Minnie Mouse rather than the Disney Princesses. So, now the hard part will be for me to not give it to her until Christmas! I'm so excited that I want to can't wait to see her play with it! I also bought a couple things that weren't on sale, but that I thought would be useful in the diaper bag. I thought this lunch bag would be good for carrying snacks and stuff when we're out. 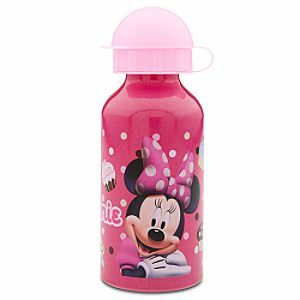 And this water bottle would be great to carry extra juice or water in, so I can refill her sippy cup when needed. So, as much as I tease Nicole for making me think about Christmas already, it really was a good reminder to me to start preparing. I think that buying a gift here and there starting now (possibly on sale) will help give me a head start and hopefully I won't be too frazzled when Christmas gets closer. Thanks Nicole and thanks to The Coupon "High"! Both of your posts today have started me thinking about a game plan for the holidays!